Pintrest is such a wonderful site to share photos and videos through world wide. If you are a Pinterest user you will some email notification from Pinterest like some one repins you pin (or) some one comment on your phone and more. 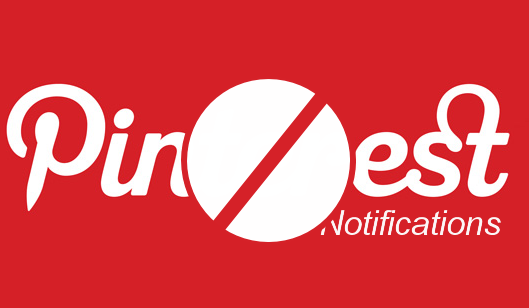 If you want to stop these unwanted notification from Pinterest follow the below steps. 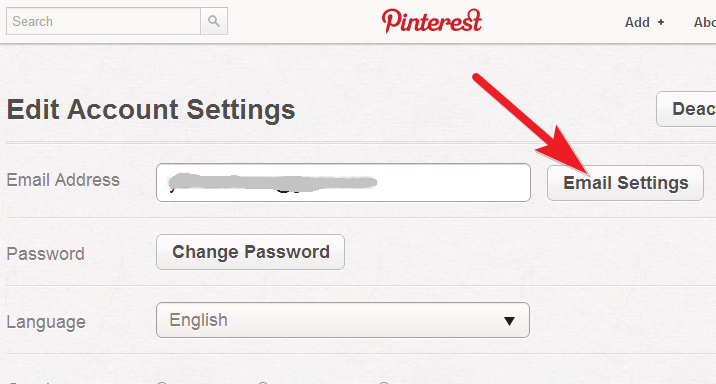 Sign in to your Pinterest account then move your mouse cursor on your name. There are multiple email preference options available,select and deselect ones which notifications you want (or) if you want to turn off all email notification click on "Disable Emails" button. 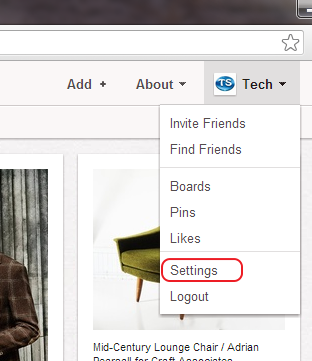 Finally click on "Save Settings" button. 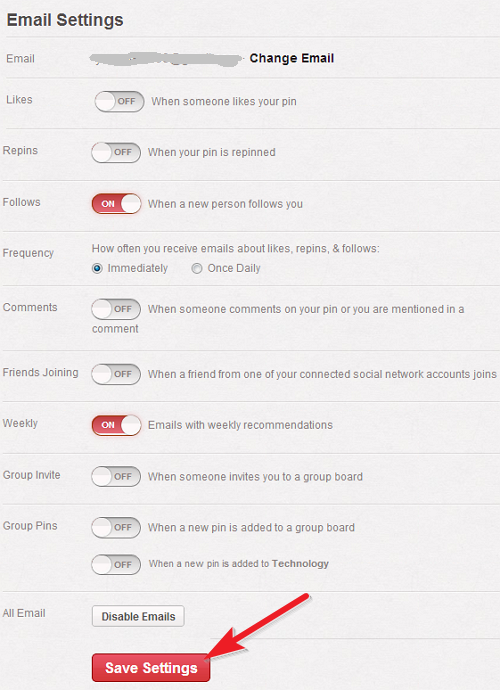 That's all you're successfully turn off all your unwanted email notification from Pinterest.